Michel Legrand cannot be pigeonholed: composer, conductor, pianist, singer, writer and producer, tearing down the barriers between jazz, classical music and easy listening, he is at home in any musical situation. 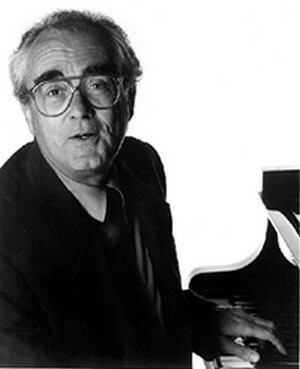 Born in 1932, Michel Legrand he entered the Paris Conservatory at the age of ten. After graduation a few years later, he immediately gravitated to the world of song, working as an accompanist/musical director to Maurice Chevalier. He traveled with the famous French singer on his international tours, including his first visit to the United Sates. In the 1950s, Michel Legrand started composing for some of the artists he was accompanying and over the next decade, turned his attention to films. He was awarded the Palme d’Or at the Cannes festival for “The Umbrellas of Cherbourg.” After the success of the Thomas Crown Affair and his song “The Windmills of Your Mind”, Legrand decided to divide his time between Paris and Hollywood. Regarding film music as another form of dialogue, Michel Legrand is the only European composer with a filmography that includes names like Orson Welles, Marcel Carné, Clint Eastwood, Norman Jewison, Louis Malle, Andrzej Wajda, Richard Lester, Claude Lelouch, to name just a few. He received three Oscars for screen music.